Google rolls out 500+ algorithm updates per year! When was your Website last updated? for everyone to find your Website. Are you a business owner in Murrieta, Temecula, Riverside, Fallbrook or anywhere in the United States, with a Website that is not getting ranked on search engines - your pages are not appearing on page #1? Time to change that - my SEO Services include a strict set of strategies to improve the visibility of your pages. 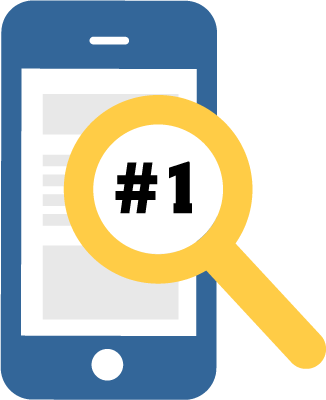 Ensure your Website follows best practices for mobile-first indexing (based on Google's ranking changes introduced in 2015 that give prominence to "mobile-friendly" sites). Restructure page layouts to give important content more prominence. Smartly place service and product specific keywords within content, where they have the most impact. Craft effective call-to-(take)action elements to generate quality sales leads. Optimize images/illustrations for better visibility and faster page load times. Improve content readability through improved grammar and sentence structure. Build effective internal and outbound links. Search engines index your pages. Humans find your services and products faster. Your business makes more sales! methods to rank your Website on page #1. The analogy that works best in this situation; your Website is like a physical store - you won't sell anything if potential customers can't find you. About 15 years ago we used resources like the Yellow Pages ™ to find contact information for friends, family or a plumber. Now, search engines (Bing, Google, Yahoo, etc.) are the directories people use to find the products and services you and your competitors sell. These search engines then drive traffic to search engine optimized Websites! SEO Services is not about dumping a lot of content on your Website. Content is essential, but too much in the wrong places is counter-productive. If the message on your pages is confusing or seen as SPAM, people and search engines alike will avoid your Website. Quality content makes Web pages important to search engines, and in turn improves your Website's importance within search results. For this to happen, page content needs to be updated and optimized on a regular basis - search engines won't index the same page over and over again, unless something has changed. Never forget, your competitors are working just as hard to attract the same customers.